Atomic Blonde Review | Nerd Much? It’s easy to see the Atomic Blonde promotions and simply assume that it’s a John Wick clone with a woman in the leading role. While it’s full of elaborate and awe inspiring fight scenes, at its core Atomic Blonde is a down and dirty spy thriller. This is very much a film that embraces the various tropes we come to expect in this genre like code names, double agents, secret meetings, and hidden messages. Despite the film getting a bit too consumed by this, Atomic Blonde is a highly entertaining flick that truly has a sense of style. Based on the graphic novel The Coldest City by Antony Johnston, Atomic Blonde is set during the final days of the Cold War in Berlin. After a close friend and fellow MI6 agent is gunned down, Lorraine Broughton (Charlize Theron) is tasked with not only discover who the killer is but retrieving a secret list of all the currently active undercover agents. However, upon her arrival, she is not only instantly discovered by the Soviet KGB, but must contend with a wild card M16 operative known as David Percival (James McAvoy). What follows is a twisting road that’s full of deception, brutal fight scenes, and a conspiracy to discover who the dirty MI6 operative is. When it comes to spy stories, Atomic Blonde is just okay and provides a serviceable enough plot to carry the characters along. Despite the various twists and turns, Atomic Blonde seems to lose itself in its own conspiracies. There’s a sense that sections of the film were either omitted or rushed through for the sake of time. Big reveals are either brushed over or are so predictable that you see them coming a mile off. It’s not enough to ruin the movie, but it’s disappointing that the main story is so focused on checking off every box you’d expect in a James Bond-esc thriller. Thankfully, the various characters more than carry the emotional weight of this script. Percival is perhaps the most intriguing character as he comes off at first as the comedy relief of the movie, but as Atomic Blonde continues there’s clearly something deeper going on. McAvoy chews up every scene he is in, adding a more surreal sense to many of the events in the movie. By the end of the film, you might actually feel bad for him, especially when you learn what has been driving him to act the way he does. Sadly the main villains just don’t live up to the rest of the cast and are ultimately forgettable. They serve as decent bad guys for Broughton to beat up, but don’t really offer much beyond that. The rest of the supporting cast do a fine job with the material offered, with John Goodman and Toby Jones acting as her main contacts for her mission. Sofia Boutella also delivers a strong performance as Broughton’s love interest and rookie French spy, Delphine. Her relationship with Lorraine is genuinely compelling and offers a nice sense of vulnerability to the one woman wrecking crew that is the lead character. Atomic Blonde wisely doesn’t focus too heavily on their romantic interests for one another, allowing for their brief moments together to feel natural to the dangerous world they inhabit. Of course, the stand out performance is Theron who cements her place as one of the best modern action stars. Lorraine is a wonderfully developed character that offers layers of hidden emotions and is never once billed as the best in the world. She gets beat up, but always pushes through and proudly displays her battle scars like a hunter marking down their victims. Yet, there are tender moments that give Lorraine some humanity, allowing us as the audience to invest in her struggle. Much like John Wick, a lot of Lorraine’s real character development is told through visual cues. This allows Atomic Blonde to keep a brisk pace and always produce a sense of unease, especially once the third act rolls in. However, what most people will be talking about is the action, which thankfully is some of the best this year. It’s been a remarkably solid year for the action genre, but Atomic Blonde somehow manages to stand out. Instead of going for insanely slick gun fights, director David Leitch aims for a more raw and brutal style that’s akin to The Raid. While many of the gunfights are fun, the real stand out is the already infamous stairway fight. Lasting what seems like a full 15 minutes, this battle is incredibly brutal and by the end, you’ll be just as tired as Lorraine. All of this is wrapped up in a slick, highly stylized package that is full of classic 1980s pop music and bright, vibrant colors. 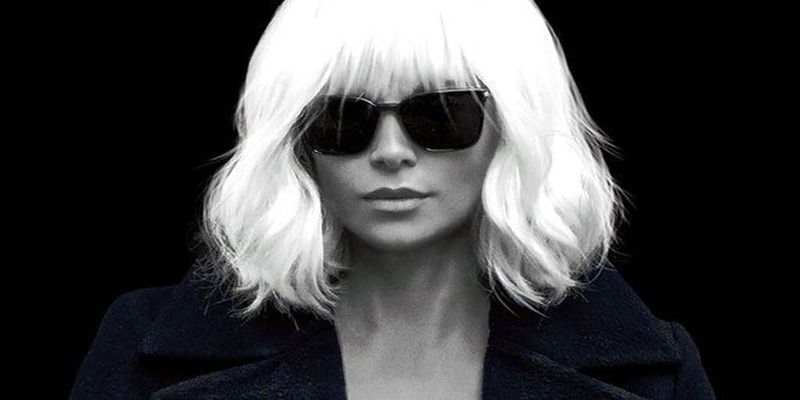 While this works nicely, Atomic Blonde is inconsistent with its design, as the first half of the movie has far more personality than the latter. You can tell Leitch is straining to come up with new ideas to compose visually pleasing scenes and his focus on this does make for some awkward or confusing moments. Yet, Atomic Blonde is still a hell of a good time regardless of its issues. This spy film is far from perfect as the lack of a proper villain and heavy focus on the intricacies of being a spy take away some of the fun. However, this is saved by Theron who not only delivers a commanding performance but offers up a heroine that is genuinely compelling. The action is undoubtedly the star of this movie and if you’re looking for bone crunching fight scenes then you’ll leave happy. Atomic Blonde is not the best action film this year, but it’s an entertaining enough thrill live to justify the ticket price. Seriously though, can we just have Theron be the next Bond?